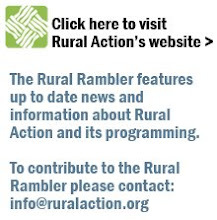 The Rural Rambler: CFI's Free Seed Giveaway Needs Your Help! CFI's Free Seed Giveaway Needs Your Help! A longtime partner of Rural Action, Community Food Initiatives needs seeds, seeds and more seeds!! This year's supply of vegetable and herb seeds is very low for the 2010 Free Seed Give Away and they need folks to donate seeds they have saved or bought and get them to CFI, 94 Columbus Rd, Athens by March 5th. No amount is too small or too big, they can handle it all. Every year CFI sponsors the seed giveaway to help low income families put in their own gardens to help save money and provide access to healthy sustainable food for all! To help out or for more info cfi@frognet.net or 740-593-5971.